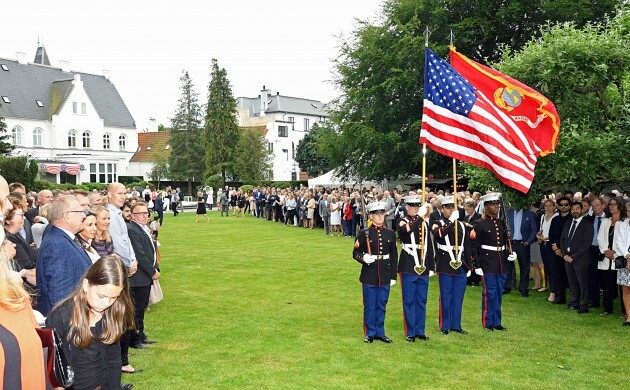 The United States on June 22 celebrated Independence Day – no, not the release of the movie, although it did come out last week – but its own July 4, Uncle Sam occasion with a massive fanfare of speeches, food, drinks, music and marching personnel. 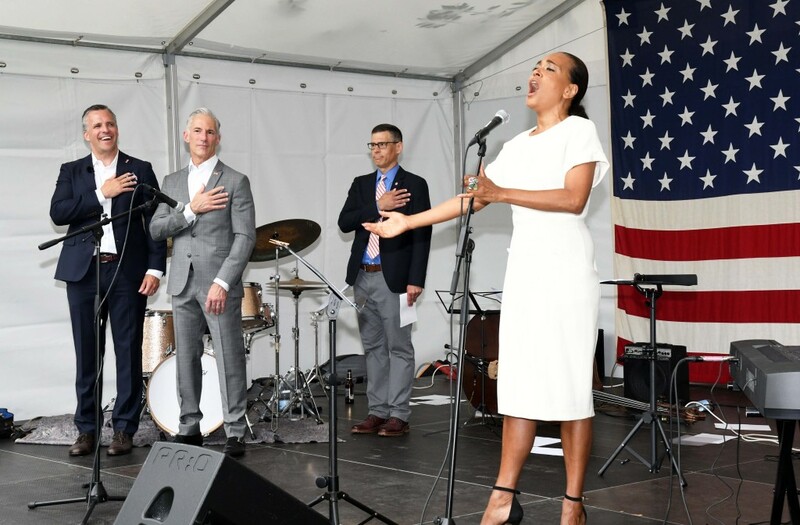 Proceedings started with Caroline Henderson singing the Star Spangled Banner with US ambassador Rufus Gifford (left) offering able support. 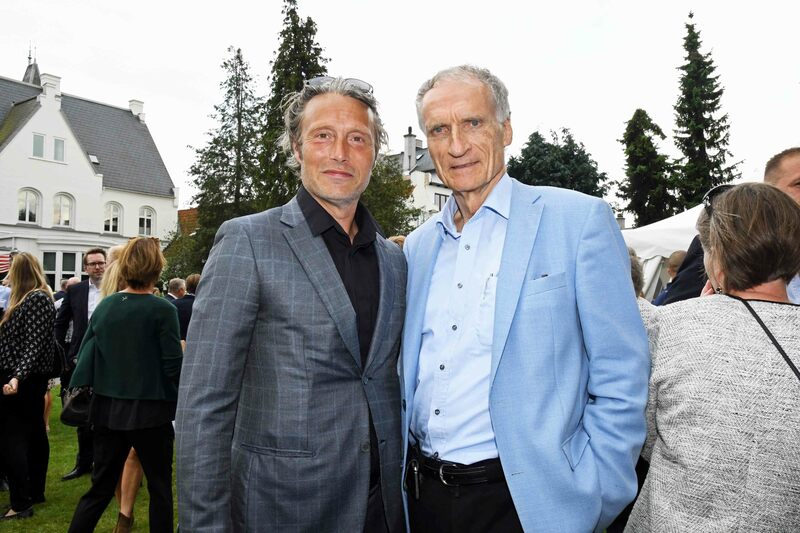 Among those present were actor Mads Mikkelsen (left) and the minister of culture, Bertel Haarder (right). 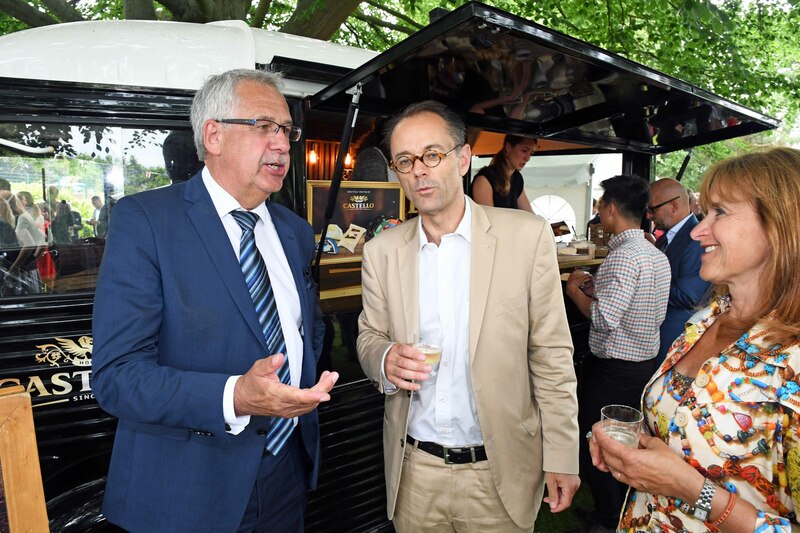 The transport minister, Hans Christian Schmidt (left), and Swiss ambassador Benedikt Wechsler (middle) were also in attendance.